Are you a Florida business owner who requires employees to sign non-compete agreements? If so, take note of the recent landmark opinion from the Florida Supreme Court. The opinion addresses two separate appeals and interprets the state’s laws when it comes to non-compete agreements. Florida’s law covers restrictive covenants as a whole, which include not only non-compete agreements but also confidentiality and non-disclosure agreements as well. In a nutshell, the agreements must serve a legitimate business interest. Under Florida Statutes 542.335, legitimate business interest includes trade secrets, valuable business information not considered a trade secret, relationships with clients or customers, or customer goodwill associated with a trademark, geographic location, trade area or specialized training. If the non-compete agreement does not cover any of these business interests, then it is not enforceable in a court of law. The court addressed whether or not referral sources in the home health industry would be considered legitimate business interests. Referral sources are not specifically listed in the statute, so there was some differing opinion. It was noted that the statute was not exhaustive, so referral sources could qualify as legitimate business interests because many home health care businesses depend on strong relationships with their referral sources. If former employees use these relationships for their new business, it could result in an unfair competitive advantage. As a business owner, what are the two main ideas that you should know about non-compete agreements based on the opinion of the Florida Supreme Court? First, you must understand the definition of a legitimate business interest. It is defined as a business asset that would result in an employee obtaining an unfair advantage over his or her previous company. 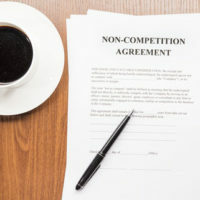 Therefore, a non-compete agreement cannot be used to stifle normal competition. Also, to determine if an activity is a legitimate business interest, it would be based on the industry and context. Non-compete agreements are not one-size-fits-all, so a business owner needs to tailor it based on the company’s specific business assets. The agreement needs to consider the employee-employer relationship and the industry as a whole. Downloading a generic non-compete agreement online will not meet these requirements. It’s better to sit down with a lawyer and discuss what exactly you need the agreement to include so that it is legally binding. If the agreement is not worded properly, you could see your trade secrets in the hands of former employees to compete with you. If you are asked to create or sign a non-compete agreement, don’t take this responsibility lightly. These agreements are taken seriously and are often enforced in court. Make sure you understand what the agreement entails so your legal rights are protected. If you need to create a non-compete agreement for your business, seek the legal assistance of Orlando non-compete agreement lawyer B.F. Godfrey from Godfrey Legal first. He has many years of experience helping entrepreneurs with the many aspects of operating a business. Contact Godfrey Legal at (407) 890-0023 for a consultation.